Food Adventures of a Comfort Cook: I don’t miss the East coast, just the food. I don’t miss the East coast, just the food. Sure, I miss my family and the few close friends I have out there, but the locations themselves…not at all. I don’t miss the overbuilt residential areas, or the numerous strip malls with half empty storefronts. I don’t miss wondering if someone was going to crash into my car every time I went to the grocery store, work, or wherever I was headed to. I most certainly don’t miss sitting in the ever constant traffic jams, not just on highways, but on the city roads themselves. I don’t miss the noise, the dirt, the skies so polluted that they were a sickly green-blue; nor the stench that was also ever present in the air. No, I don’t miss the East coast at all; but I do miss the food. Italian bakeries with delectable desserts and pastries; Chinese restaurants with an unending variety; Italian and Jewish delis with a vast selection of meats, cheeses and breads. I miss the Farmers’ markets where you could buy anything and everything; all fresh. All the wonderful food stuffs that cannot be purchased in supermarkets out here in the Southwest, or if you can, they cost an arm and 2 ½ legs. Or, there are online sites that can ship the items to you in 1-2 days, and most of the prices are not unreasonable; but the shipping costs will force you to get a loan at the local bank or credit union. I miss the food…oh to have a potato knish, crispy outside, soft mashed potatoes inside with spicy brown mustard; or a Sabrett hotdog covered in that wonderful spicy onion sauce; real country sausage from the Farmers’ market, grilled and it snaps when you bite into it. This could make a person cry, but I’ll hold back for now; don’t want to get the keyboard wet. I am learning to do without for certain recipes, or how to create or use substitutes; while good, it’s still not the same. One of these items is mascarpone cheese which I often used for making desserts like cheesecake or tiramisu’; but I’ve learned to make a close substitute. So, for those of you who have wanted to try mascarpone, or, like me, cannot find it, here’s a substitute recipe, and a dessert that can be made with it…Tiramisu’. Mascarpone originated in the area between Lodi and Abbiategrasso, Italy, southwest of Milan, probably in the late 16th or early 17th century. It is a fresh, very rich cow’s milk cheese; double or triple cream (60% to 75% milk fat). Its texture resembles a sticky pudding and it is the color of cream. 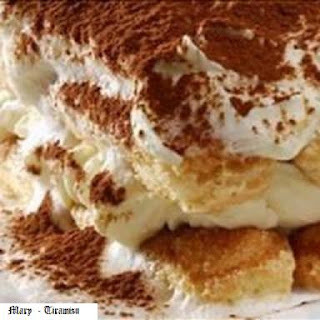 While it is widely used in desserts, such as the Italian cake called Tiramisù; it can be used in a variety of recipes. In Italy, a favorite preparation is savory, mixing the cheese with anchovies, mustard and spices as a spread for breads. By itself, it can be served as an enhancement for fruits, coffee or cocoa; or added to such Italian dishes like lasagna, stuffed shells or manicotti. While it can be purchased in stores or online, it can also be pricey. 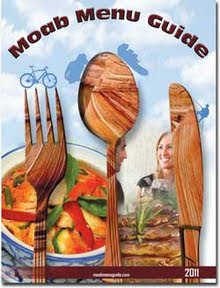 However, there is a way to make a suitable substitute. Combine 16 oz. softened cream cheese, ½ cup heavy whipping cream and 5 Tbsp. sour cream; mix thoroughly until smooth and creamy. A classic Italian cake made with mascarpone cheese and lady fingers. This is a layered dessert which could be compared to an English Trifle. In a large mixing bowl, combine egg yolks, 1 Tbsp espresso, ½ cup sugar and liquor. Use mixer to beat ingredients together for 2 minutes; add cheese and beat until mixture is smooth. In another bowl, combine egg whites with ½ tsp sugar; beat on high with mixer until egg whites can hold a peak. Gently fold the egg whites into the cheese mixture. Pour remaining espresso into a rimmed dish; lightly dip the lady fingers into the espresso, making sure to coat both sides. On the bottom of a 2 qt round dessert bowl, place 15 of the lady fingers (rounded side down), put another 15 (rounded side outward) around the sides of the bowl. Begin layering by spreading 1/3 of the cheese mixture on top of the lady fingers on bottom of the bowl, 15 lady fingers (rounded side upward), 1/3 of mixture, final 15 of lady fingers (rounded side upward), final 1/3 of cheese mixture. Sprinkle the cocoa powder over the final cheese layer. ** If mascarpone cheese is not available, create a substitute by mixing together 16 oz. softened cream cheese, ½ cup heavy whipping cream and 5 Tbsp. sour cream until smooth and creamy.